1965-66 Mustang Throttle Rod Retracting Spring Bracket. 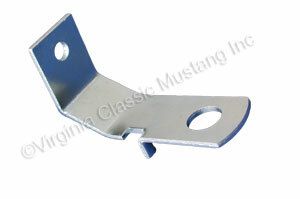 This version is an exact copy of the bracket used on the Mustang equipped with 4V carburetors. Correct design, bend and zinc plated finish.